Since the school year 2011-2012, BNP Paribas sponsors Foundation Life and Finance, one of the fastest growing initiatives in the field of financial education in The Netherlands. Thanks to a joint donation of BNP Paribas Corporate and Institutional Banking, BNP Paribas Investment Partners, BNP Paribas Personal Finance and Cardif, BNP Paribas can commit itself as a Group for the coming three school years to this unique CSR initiative. 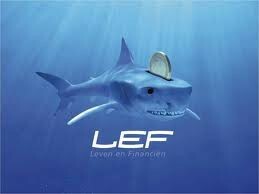 LEF stands for Life and Finance and aims to improve financial awareness among young people. LEF helps young people understand what money can do and gives more insight into financial and personal behavior. Unique to the program is that the lessons at the schools will be given by financial advisors (employees of the sponsors). The themes are incorporated into the existing education module “The Critical Consumer” of ROC’s (community colleges) which form a fixed part of the curriculum. In the 2009-2010 school year, LEF has started a pilot in five schools and has since become one of the biggest initiatives for financial education in The Netherlands.